Enter THE HOUSE for a unique and terrifying experience you’ll want to revisit time and time again; the potential to be an instant cult classic. There are few things that I love in horror as much as exorcism/possession movies and Nazi horror movies. I think the Catholic upbringing makes me a natural to be scared by possession movies, and Nazis are just natural villains. Whether it’s in DEAD SNOW, SHOCK WAVES, or the recently released OVERLORD, there is something naturally evil and villainous about a Nazi. Maybe it’s the uniforms, because it looks like the German government asked their designers to make uniforms straight out of a Hollywood central villain casting. After watching the trailer for THE HOUSE, I immediately contacted the Morbidly Beautiful boss and asked for the opportunity to review the movie, and moments later I had the assignment. Near the end of World War 2, two German soldiers are escorting a Norwegian prisoner through the woods of Norway, attempting to reunite with the German armed forces. Hopelessly lost due to a compass that is unable to lock onto true North, and dealing with a prisoner who is injured, the soldiers need to find shelter as night descends. 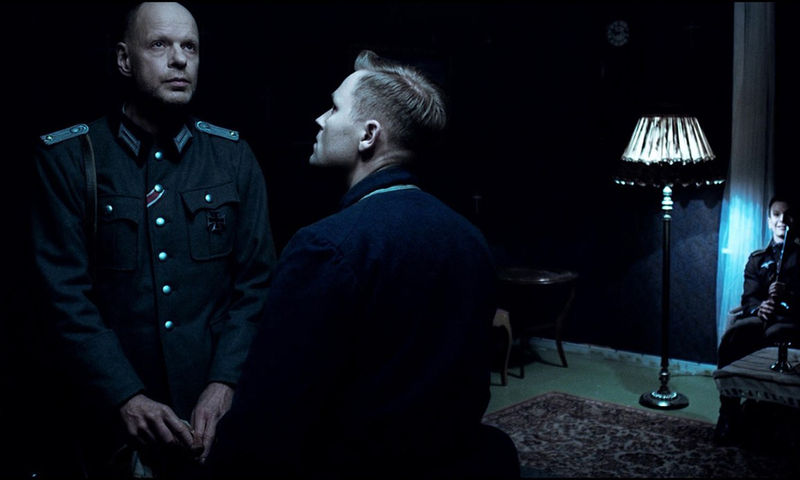 Luckily for the soldiers, Fleiss (Frederik von Luttichau) and Kreiner (Mats Reinhardt), they happen upon a house that’s flying a Norwegian flag, against Nazi law. Entering the house, Fleiss and Kreiner find a radio playing and food simmering on the stovetop. They suggest that the occupants of the home saw them coming, and ran away to hide. Searching the house, the soldiers are unable to find the home owners. What they do find is a bedroom, presumably a girl’s bedroom, with rune symbols painted onto the closet door. They also find a guest book hidden in a nightstand with the same runes on the cover. As the night goes on, the soldiers and Rune (Sondre Krogtoft Larsen), the prisoner, begin to see figures in the shadows and out of the corners of their eyes. At times the figures come into focus and are people from their past, specifically for Fleiss and Kreiner. As their night continues, they find that their very reality may be twisting and the fabric of time fraying before them, and every time an answer seems near, it is snatched from them. Writer/Director Reinert Kiil also introduces flashback scenes to an exorcism which, according to the film’s trailer, happened in 1901. Presumably, the possessed girl in the flashbacks is the occupant of the girl’s bedroom with the closet and book that are marked with the rune symbols. 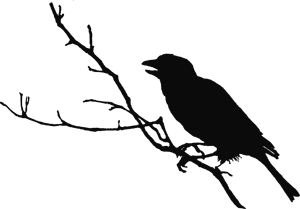 What was strange to me, and perhaps this is more an issue with the translation for the subtitles, was that the ritual appeared to be an exorcism but perhaps it was something else. It is left to the viewer to decide what is happening and how it effects the events in the movie. THE HOUSE is an atmospheric, suspenseful film that pulls you slowly into its story, much like the house pulls in its prey. Kiil creates a film that, while lacking shocking violence, feels like a sibling to Tobe Hooper’s TEXAS CHAIN SAW MASSACRE. Like that film, THE HOUSE is able to use the surrounding elements to add to the film experience. You can almost feel the oppressive cold and dark creeping on the house and its inhabitants, just like Tobe Hooper is able to convey the sense of heat and grit in THE TEXAS CHAIN SAW MASSACRE. Like recent movies such as HEREDITARY, SUSPIRIA, and GET OUT, this film requires your complete attention. The scares and the story are in the details, and Kiil has filled THE HOUSE with hints and clues to reward the diligent viewer. Don’t let the trailer and the inclusion of Nazi’s distract you or lull you into believing THE HOUSE is just a simple Nazisploitation or grindhouse exorcism movie. There is a deeper, meaningful, and terrifying story in THE HOUSE, and all you have to do is accept its invitation to settle in, and be mesmerized and horrified by the unfolding story. 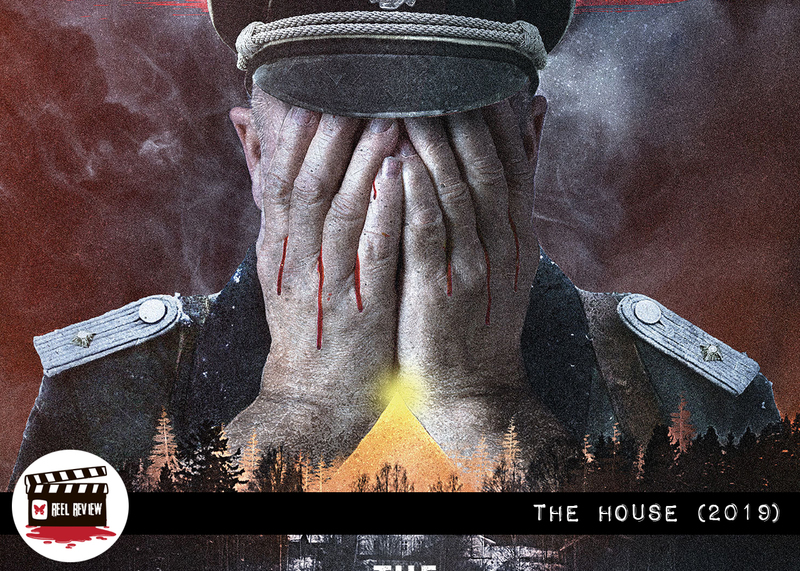 THE HOUSE is now available via the always great Artsploitation Films on VOD and Blu-ray/DVD. For more information, head to Artsploitation Films: http://www.artsploitationfilms.com/film/the-house/.